You can lead a horse to water, but you can’t make it drink. Mobile wallet providers are running into much the same issue. In the U.S., there’s a smartphone in nearly every hand, with 77 percent of Americans owning these devices, yet only 24 percent of smartphone owners have ever used a mobile wallet to make a payment. Mobile wallet and payment providers aren’t ready to give up, however. In fact, they’re looking to make the proverbial horse drink by offering the right incentives, such as loyalty and rewards programs. Throughout the Payments as a Service space, major companies are upping their offerings in a bid to encourage mobile wallet and payment use to become the trusted primary payment method. 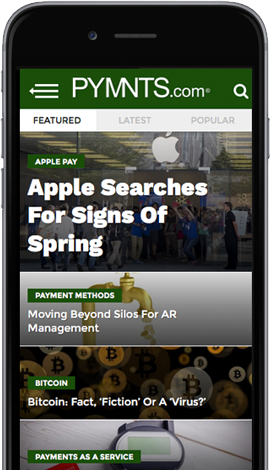 The new Payments as a Service Tracker charts the latest efforts of these financial companies and other major headlines and developments. Mastercard is one company striving to build demand for its mobile payment service — and is meeting customers at the gas pump to do so. The company recently announced a partnership with Phillips 66, under which the gas station chain’s loyalty program members can pay for gas using Mastercard’s Masterpass mobile payment capabilities, which will be integrated into the My Phillips 66 app later this year. Meanwhile, Ant Financial is hoping to drum up greater usage of its mobile payment service, Alipay, through a partnership with secure commerce technology provider FreedomPay. The collaboration enables Chinese tourists to use Alipay services while traveling in North America. In another recent team-up, JPMorgan Chase and POS provider TouchBistro are collaborating to combat a common restaurant frustration. The duo plans to offer customers instant table-side bill payment capabilities, eliminating what can be a lengthy or irritating wait for the check. With one-stop stores and online shopping dominating much of the retail scene, it can be hard to convince consumers to look away from the convenience of mass merchants long enough to notice small local shops they might love. That’s a problem at which Nift is chipping away. The company offers a gift and reward distribution platform that encourages loyal shoppers from one local business to try out another local store within the network, and vice versa. The goal is for all participating small businesses to drive non-competing traffic to one another, explained founder and CEO Elery Pfeffer.